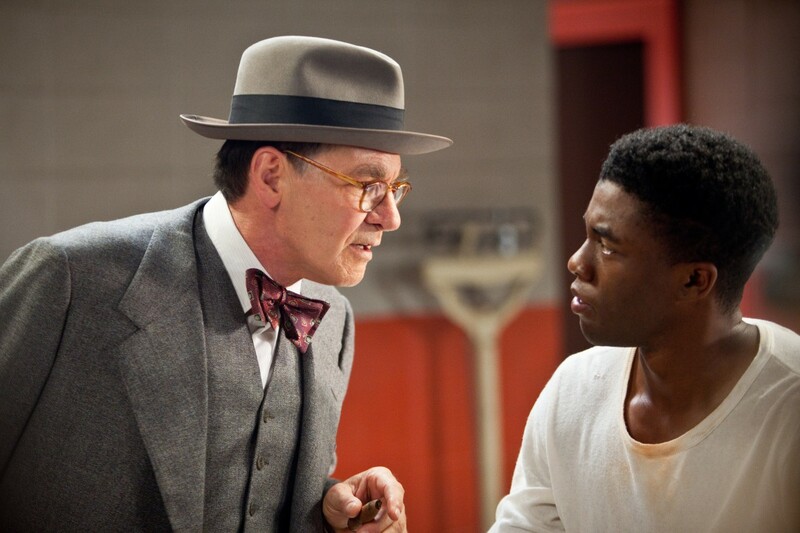 We all know there’s no crying in baseball but it’s hard not to do when watching ‘42’, the Jackie Robinson story. The film portrays the adversities and racial tryst baseball’s first African-American player faced when he broke barriers to play in the all-white professional league. On April 15, 1947, Jackie Robinson emerged from the tunnel at Ebbets Field in a Brooklyn Dodgers’ uniform bearing the number 42. It wasthat very instant he broke Major League Baseball’s infamous color line. 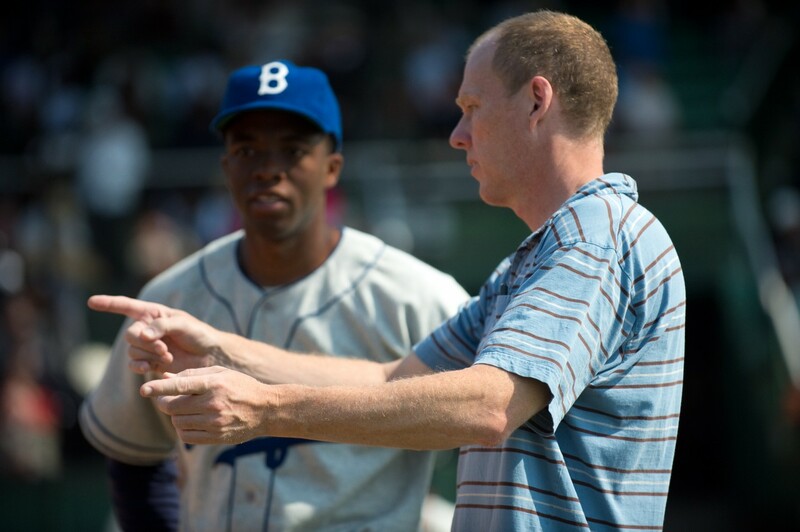 Brian Helgeland, the writer and director of “42,” revealed that he, like most other people, was unaware of the level of opposition and blatant bigotry Robinson faced as the first black to play for any major league team. So how did ‘42’ come to fruition? Producer Thomas Tull saw an opportunity to bring the inspirational story to film audiences when he was introduced to Jackie’s wife, Rachel Robinson, who entrusted him with the project. Tull contacted Helgeland who happened to be in Brooklyn at the time. They took that coincidence as a sign and both committed to the project. Boseman also played the role of Floyd Little in the film “The Express” that portrayed the first African American to win the Heisman Trophy. This major turn in history would never have happened back then if it weren’t for 65-year-old Brooklyn Dodgers President and General Manager Branch Rickey, a Caucasian man who was on a mission. In the racial climate of 1940s America, it arguably took as much courage for Rickey to open the door to integrating Major League Baseball as it did to be the man who walked through it. Rickey spent time dodging death threats and stern warnings from opposing owners and his commissioner. Despite vehement opposition from the league, the public and his own players, Rickey signed Robinson to his team. Screen vet Harrison Ford portrayed the visionary baseball exec. Rachel Robinson who has kept her husband’s legacy alive for decades through the Jackie Robinson Foundation was a vital resource and served as a consultant. And for fact’s sake, Robinson won the Rookie of the Year award in 1947, three years later hit a league-best .342 to win MVP and most notably won the hearts of baseball fans across America. While No. 42 is universally retired throughout MLB, once per season Jackie Robinson Day is celebrated and every player in the league wears his number to honor his historic trek.